Half of American adults already suffer from gum disease, and they don’t even know it. This statistic is a real shame, especially considering how easy it is to prevent gum disease in the first place. At Central Florida Periodontics, we see the consequences of gum disease every day, and we want our patients to know how to avoid it. We offer premier gum disease treatment in Orlando, but we try to prevent our patients from experiencing gum disease symptoms in the first place. Here are some of the best practices for staving off gum disease, and keeping your mouth healthy. Brushing and flossing twice a day is an important and underrated step toward preventing gum disease. Brushing removes plaque and buildup from the surface of your teeth, keeping your mouth clean and your enamel strong. Apply light pressure and brush in a circular motion – helping to maximize cleaning while minimizing discomfort. Brushing must also be accompanied by flossing, however. When you floss, be sure to use waxed floss, which is both more comfortable and more effective. Rinsing your mouth with mouthwash on a daily basis is incredibly important to preventing gum disease. Mouthwash kills bacteria that’s missed by brushing and flossing, and some mouthwashes even make your teeth stronger. At Central Florida Periodontics, our staff can recommend the right products for each individual patient, to ensure that you’re keeping your mouth healthy. Unfortunately, many people lose or damage their teeth because their gums aren’t healthy, and they simply aren’t aware. At Central Florida Periodontics, we’re the premier practice for gum disease treatment in Orlando, and we’re able to diagnose and treat a number of periodontal diseases. We also specialize in providing our patients with thorough cleanings that prevent periodontal disease. Using the latest innovations in dental care, we leave our patients feeling confident that their gums are healthier than ever. If you’re already suffering from gum disease, never fear. Whether you need bite adjustment, cosmetic procedures, or dental implants, we have the technology and expertise to get your smile back to its former glory. Practicing proper oral hygiene, however, can keep your smile looking great for years to come. Don’t let your smile fade because you didn’t practice smart oral health. 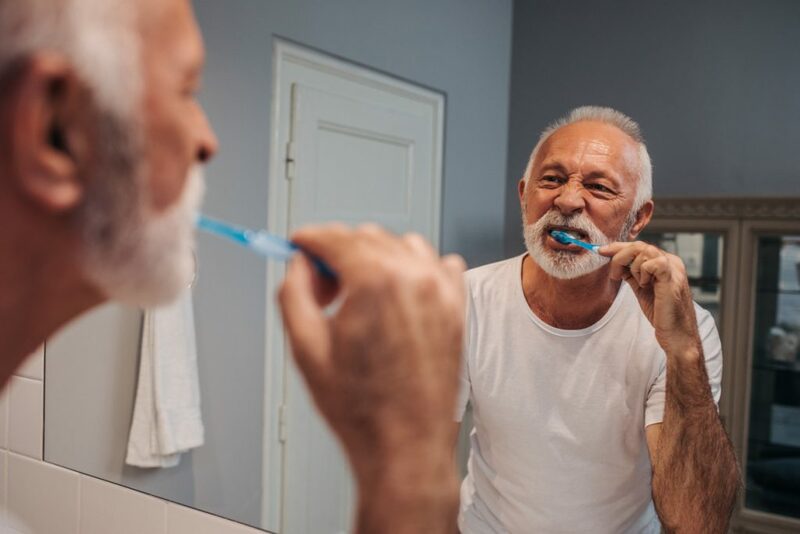 Follow these instructions for preventing gum disease, and contact Central Florida Periodontics today to schedule an appointment for a professional cleaning.